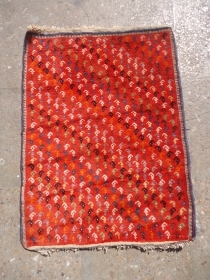 Early Greek Large Textile with good colors,design and condition.Very fine fine work.Size 3'3"*3'2".E.mail for more info and pics. 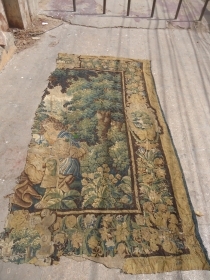 17-18th century French Tapestery Fragment with nice drawing and colors.Size 9'8"*4'10".E.mail for more info and pics. 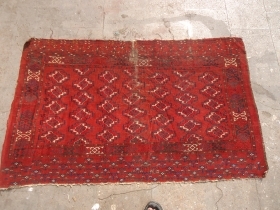 Beautiful Baluch Rug with condition issues,as found without any repair or work done.Size 4'3"*2'9".E.mail for more info and pics. 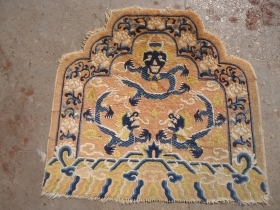 Chinese Ivory Ground Rug with good colors,condition and age,Size 4'8"*2'2".E.mail for more info and pics. 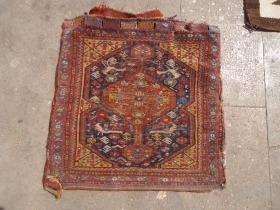 Jaf Kurd Chuval Fragment with great colors and good age.Size 3'9"*1'4".E.mail for more info and pics. 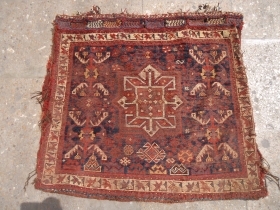 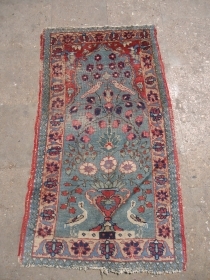 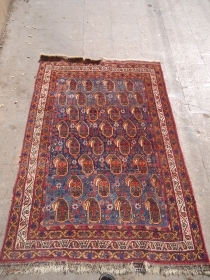 Beautiful Jalor with good age,as found without any repair or work done,Size 3'*1'6".E.mail for more info and pics. 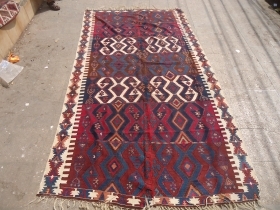 Beautiful Baluch Sofreh with very nice design,good colors and condition.Size 3'8"*2'6".E.mail for more info and pics. 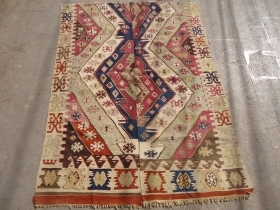 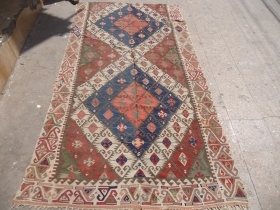 Anatolian Kilim fragment with natural colors and beautiful design.As found.Size 9*4'10".E.mail for more info and pics. 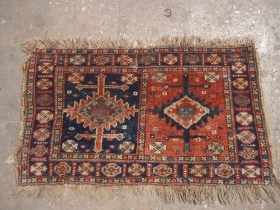 Qashqai Bagface with birds and beautiful design,original kilim backing and extra fine weave.Size 1'11"*1'11".E,nail for more info and pics. 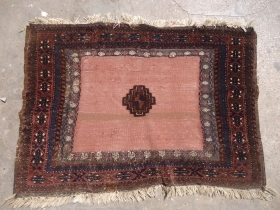 Qashqai Bagface with original backing all natural colors and unusaul weaving.Size 1'9"*1'4".E.mail for more info and pics. 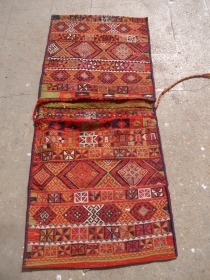 Senneh Kilim with fine and good colors,good condition and very nice design.Size 6'5"*4'3".E.mail for more info and pics. 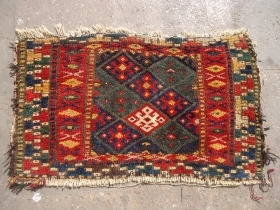 Colorful Anatolian Kilim with fine weave and good age,excellent condition and all natural colors.E.mail for more info and pics. 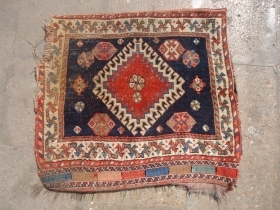 Turkmon Chuval with very good condition no repairs or work done,fine weave and good colors.Size 3'8"*2'4".E.mail for more info and pics. 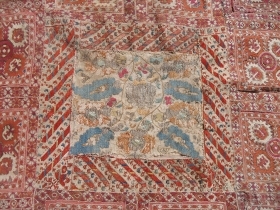 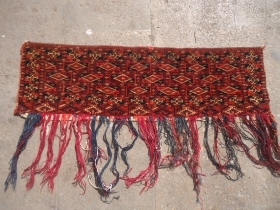 Small Qashqai field fragment with beautiful design and silk Highlights good weave.E.mail for more info and pics. 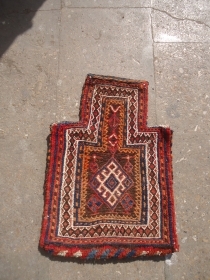 Balush Grain Bag with very nice design and good colors,excellent condition.Size 4'*2'7".E.mail for more info and pics. 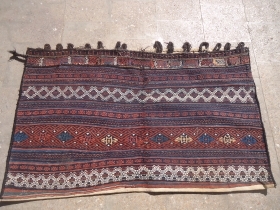 Large Baluch Grain Bag with great colors and very nice design,excellent condition.Size 4'6"*2'7".E.mail for more info and pics. 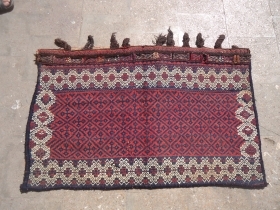 Early Greek embroidery with very nice colors and beautiful work.Size 2'7"*2'5".E.mail for more info and pics. 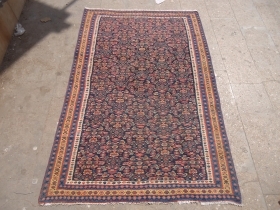 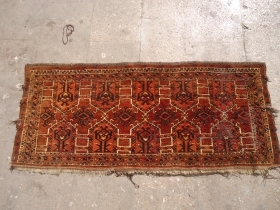 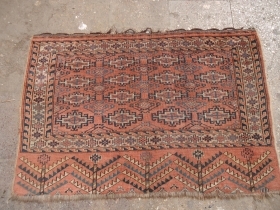 Qashqai Bagface with original beautiful Kilim backing.All natural colors.E.mail for more info and pics. 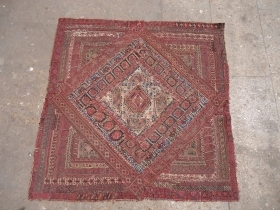 Shahsavan 3 panels made coushions,great natural colors and very fine weave.E.mail for more info and pics. 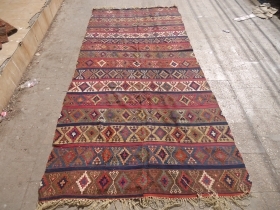 Anatolian Yastik with nice natural colors and deisgn,good age.Size 2'9"*1'9"*.E.mail for more info and pics. 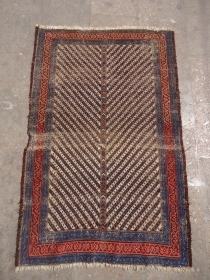 Shahsavan Mafrash Panel with all natural colors and fine weave,excellent condition.E.mail for more info and pics. 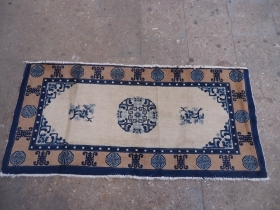 Beautiful ivory ground chinese rug with nice colors and design,excellent condition.Size 3'7"*2'9".E.mail for more info and pics. 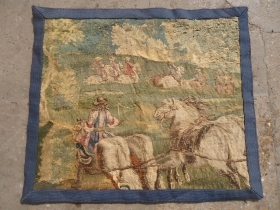 Early French Tapestry Fragment with very nice drawing.Size 1'11"*1'8".E.mail for more info and pics. 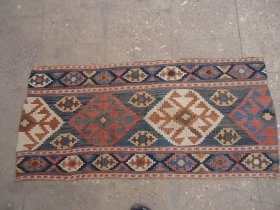 Anatolian HeyBey or Khorjin with analine colors, nice design,very good condition,original kilim backing.Size 5'5"*2'4".E.mail for more info and pics. 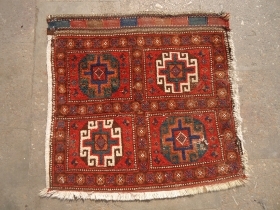 Qashqai Bagface with extra fine weave and silk weft,beautiful desgin and colors.E.mail for more info and pics. 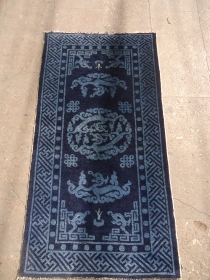 Ningxia Seating Back rug ?.with three dragons,good age and condition without any repair or work done.Size 2'5"*2'4".E.mail for more info and pics. 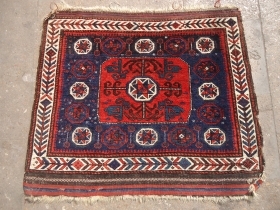 Baluch Bagface with silk Highlights and good colors,fine weave.Size 2'3"*1'10".E.mail for more info and pics. 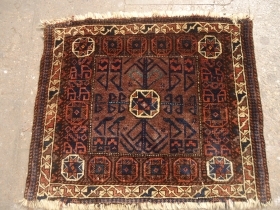 Veramin Torba/Mafrash with great natural colors and excellent condition.Without any repair or work done.Size 3'3"*1'3".E,mail for more info and pics. 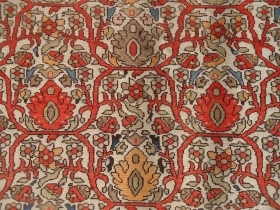 Wishing you all and your families a Happy New Year.Health,Prosperity,Happiness and Peace for the year 2016. 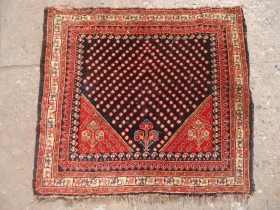 Beautiful Bagface with very nice Mogan Gul and all natural colors.E.mail for more info and pics. 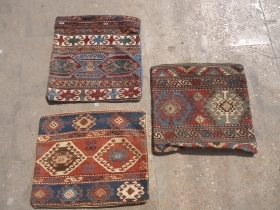 Shahsavan Piled salt bag with great natural colors and very nice design,original kilim backing.Size 1'6"*1'2".E.mail for more info and pics. 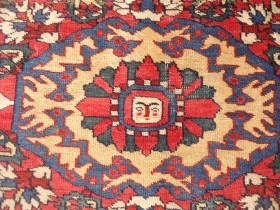 Colorfull carpets fragment with a face figeure in the middle,great natural colors and early age,as found.Size 4'8"*3'7".E.mail for more info and pics. 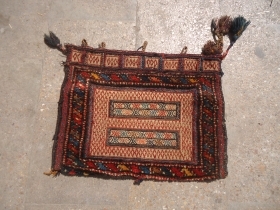 Kurd Flatwoven salt bag with all good colors,excellent condition,original kilim backing.E.mail for more info and pics. 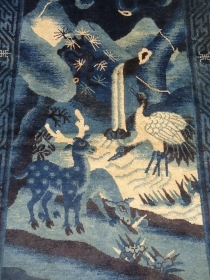 Wishing you all and your families Merry Christmas and Health,Prosperity,Happiness and Peace for the year 2016.Have a joyous holidays. 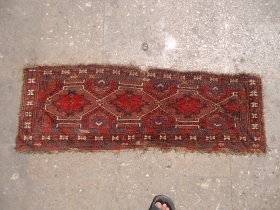 Jallor with moth damage,as found without any repair or work done,all natural colors and good age.Size 4'5"*1'11".E.mail for more info and pics. 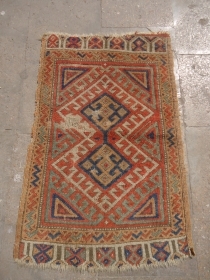 Anatolian Kili fragment with good colors and design,as found.Size 6'2"*4'7".E.mail for more info and pics. 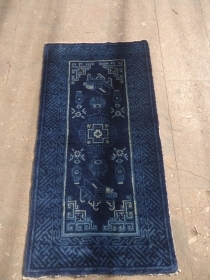 Beautiful Chinese Rug with excellent condition and beautiful colors and design,all original and soft shiny wool,E.mail for more info and pics. 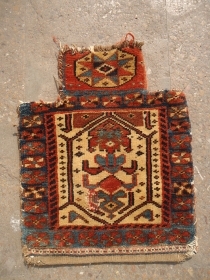 Colorful Jaf with all great colors and nice design,as found without any repair or work done.Size 2'4"*1'4".E.mail for more info and pics. 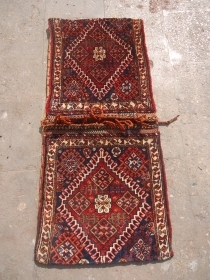 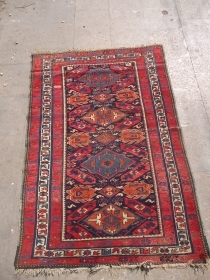 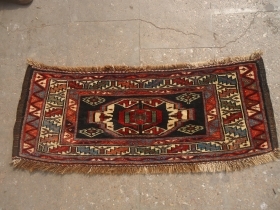 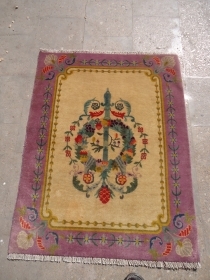 Extra finely woven trapping with beautiful design,without any repair done.Size 2'9"*10".E.mail for more info and pics.